The key to successfully maximizing any small space is to rid yourself of useless excess. Go through every kitchen cabinet and draw and pull out anything that you deem useless for your purposes and make a trip to your local goodwill. You will find this experience to be rather freeing. Smaller kitchen will require a vertical approach to storage. In other words, install shelves on a blank wall, hang a pot rack, utilize magnetic strips for hanging cutlery and invest in some hooks and rods for towel and apron storage. Magnetic spice containers are all the rage and can hang out on oven hoods, refrigerators, dishwasher or even a file cabinet if you are truly desperate for space. These little canisters will enable you to free up cupboard space while maintaining an organized work area in your kitchen. Many everyday items are less than attractive and many homeowners are not craze about displaying a broom and dustpan. However, simple upgrades will bring beauty from these storage ashes and you will be amaze at how a simple wooden broom, natural fiber dish brush and fancy soap dispenser will spruce up your place. Such items are budget friendly and will make a world of difference aesthetically. If you don't already own simple appliances such as a dishwasher, consider installing a pull-down sprayer and new faucet in your kitchen sink. This will make dish washing less taxing and updates are always worth the investment. Also, you could consider purchasing a portable dishwasher if you have ample counter space. Kitchen islands can be paramount to storage solutions if your kitchen has the floor space for such an investment. Islands allow for additional counter space as well as storage cabinets. Portable islands can even be wheeled away when not in use. Good lighting is key to making a space look larger. 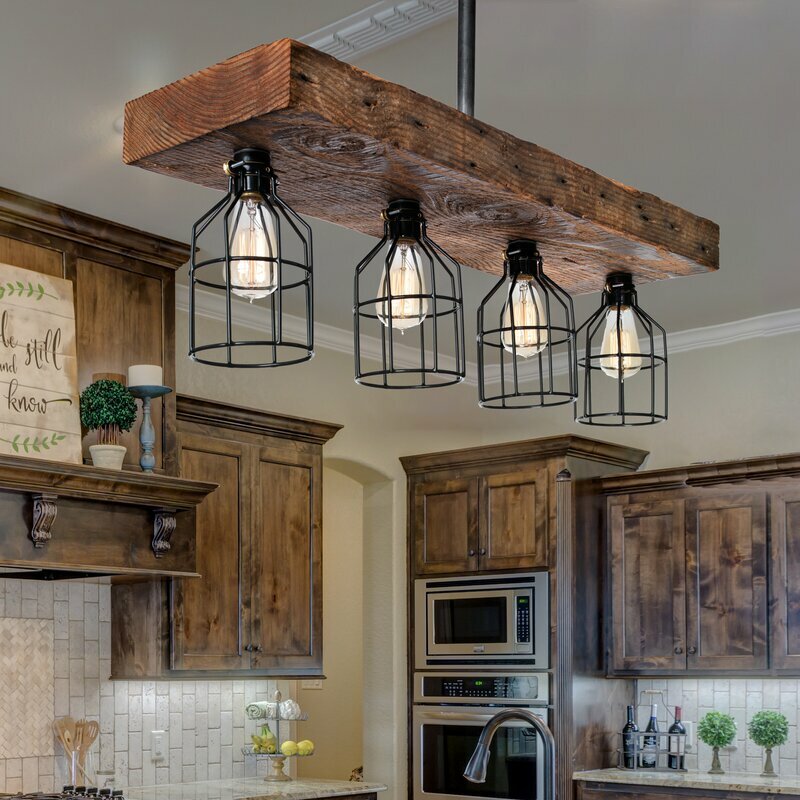 Lighting is paramount to ambiance, the feeling of warmth and can even invigorate a tired, old kitchen. Check out decorative bulbs to spruce up dingy fixtures and prepare to be amazed! Stark white walls appeal to no one and are reminiscent of antiseptic and hospitals. Think about doing an accent wall in your kitchen. Resources such as removable wallpaper, decals, simple artwork, mirrors and paint can awaken an otherwise small, boring space and transform it into a room where you actually want to be. Perhaps you have quite the range of unusual or misshapen kitchen gadgets. Dedicate a corner or window cabinet to displaying these unique items and add interest to your kitchen. Personalize your space by incorporating your grandmother's china or your collection of hand towels from around the world. These is a very thrift, simple method for adding color to your kitchen. Have you ever been in a home that looked...dead? Keep your space alive by incorporating a houseplant, goldfish bowl or tabletop water feature. Keep your "living" decor fresh, make sure your plant is watered, your fish is fed and that your fountain isn't running dry! Create interest and LIFE with something small and simple. Related: "9 Reasons Your Home Isn't Selling"